Did anyone guess what the mystery seeds were last week? I started you with a tricky one, because it is only found in the desert. 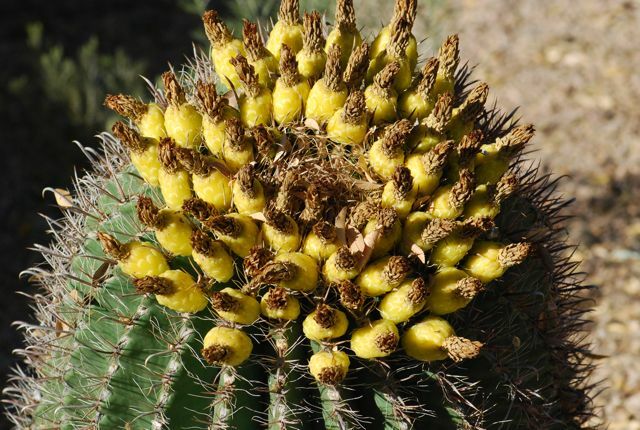 Common names for these plants are barrel cactus and fishhook cactus. 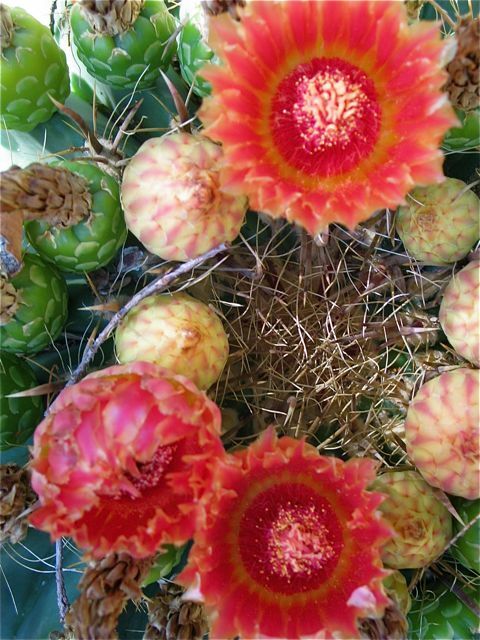 The scientific name is Ferocactus. 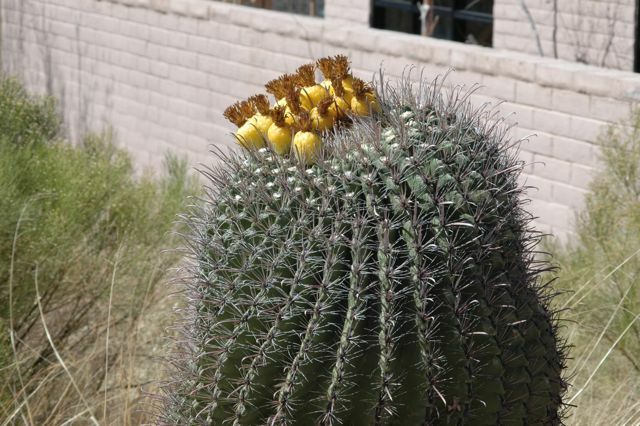 The name fishhook cactus comes from the fish hook shape of the spines of certain species. I have read that the American Indians of some tribes did use them for fish hooks. It is also called the compass cactus because in natural settings the shady side grows longer and the cactus tilts to the South. The flowers are sources of nectar and pollen for bees. 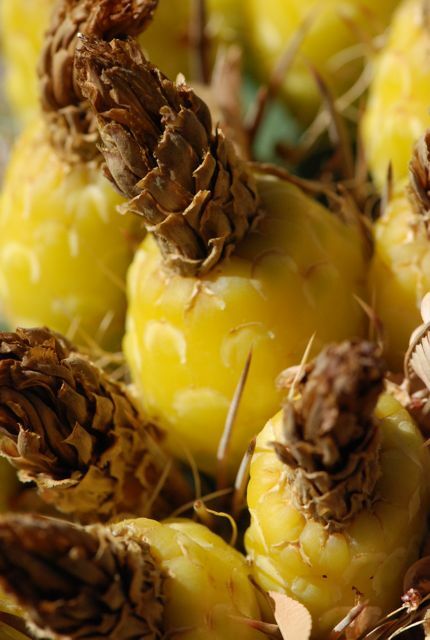 The bright yellow fruit are supposedly eaten by deer and certain rodents. 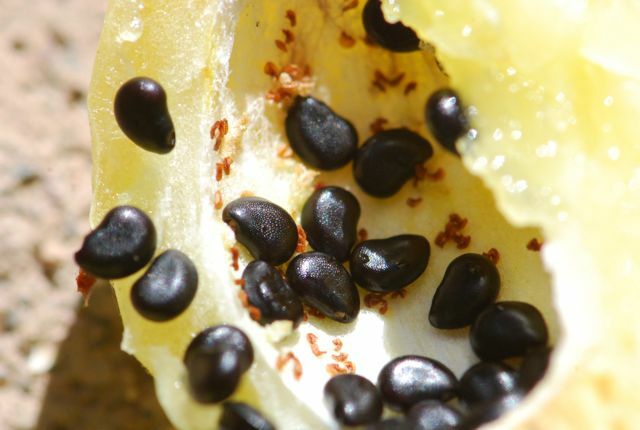 For more about the special relationship between ants and barrel cacti, see my Wild About Ants blog. 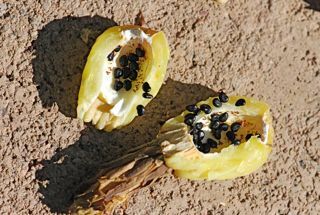 The shiny, hard black seeds of the barrel cactus reminded me of the seeds of another plant in our yard. This time I'll give you a hint. 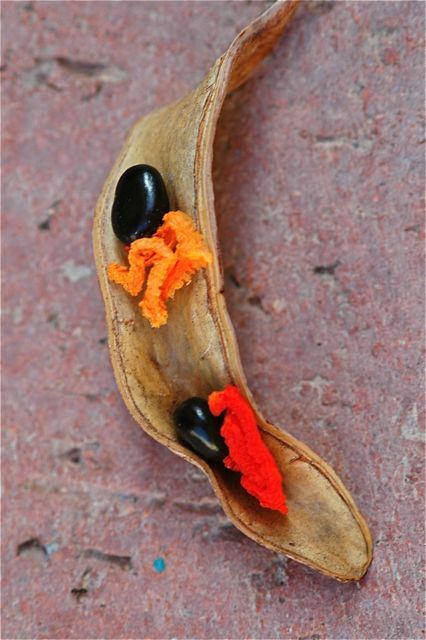 The mystery seeds this week might be easier for our Australian friends to identify.